The Angela hitmaker, Kuami Eugene has said in a video that, the AMG rapper and Derby’s ex-boyfriend, Medikal loves making ‘useless’ songs. Kuami Eugene in reaction to Medikal’s latest song ‘Omo Ada (Dem Sleep)’ which is causing a storm on Social media with several people joining the ‘Amo Ada’ dance challenge. 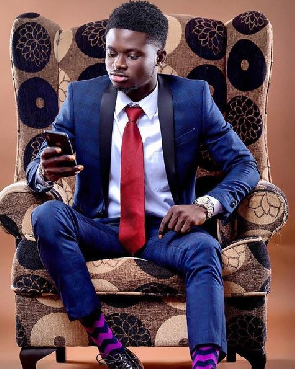 This wouldn’t be the first time Kuami Eugene is making such a comment, as he onetime said Patapaa’s kind of music is full of noise, a statement that pissed some people on Social media, forcing him to apologise for the statement. Well, now he’s said something about Medikal’s new one and we are sure he didn’t mean it in a bad way as he said it jovially. @amgmedikal Dey understand this Game Pass ????????????????????????????????. I sing this song since I first hear am. And I can’t stop ???? ??????????? #OmoAda????????. Where are some of our bloggers. Go change my caption for attention ???? ?